Our fruits will be consistently sweet, ripe and ready to eat. We have specific standards for every produce item and we only buy from growers willing to meet those high standards. We insist on larger fruit because it stays fresher longer and tastes sweeter. Our Green Thumb Experts® test produce as it comes in to our distribution centers. Fruit that doesn’t measure up in size and quality - is sent back. Harris Teeter® also pledges to have the widest variety of fruits and vegetables the world has to offer. Harris Teeter carries over 600 fresh produce items each and every day. No matter what time of year, our customers can find the widest variety of fresh, top-quality produce at our Harris Teeter’s Farmers Market®. All produce is carefully selected to meet our high standards. Harris Teeter works with farmers to get top-quality produce to our stores and on your table fast and fresh. Supporting local family farms that hand pick their best produce for Harris Teeter’s Farmers Market means quality for our customers. And at Harris Teeter we are serious about quality. Freshness verified by our Green Thumb Experts. Our new Green Thumb Experts are carefully trained and certified to help our shoppers select the best produce. They will be on hand to answer questions about an item’s nutritional information, help customers learn how to store it properly at home and even suggest a few ways they can cook it up for the whole family to enjoy. Harris Teeter is concerned about the environment and believes that by working together, we can all help achieve an environmentally friendly future. Harris Teeter encourages customers to try locally grown products when in season. It is less taxing on the environment to purchase items that travel less distance to the table. Our locally grown logo helps you identify products that are grown within the designated state. By purchasing these products you are helping to support the local economy, give farmers a living wage and reduce the environmental impact and costs of transporting product. 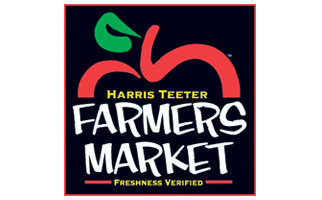 Harris Teeter carries a Double Your Money Back Guarantee on all Farmers Market items. If you are not completely satisfied with any Farmers Market item, simply return it to any of our stores. With proof of purchase, ID and a valid VIC Card, we will happily refund double your money back. Learn more about our Double Your Money Back Guarantee.